The detention and mistreatment in custody of an award-winning Tibetan filmmaker, for an airport luggage dispute, has led his colleagues to begin speaking out. 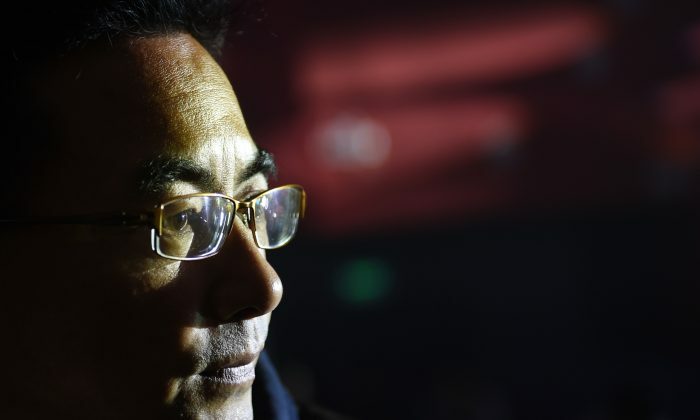 Pema Tseden was detained at the Xining Cao Jiabao Airport on June 25 when he attempted to retrieve his backpack, which he’d forgotten on a trolley. Tseden, whose work is focused on preserving Tibetan culture, was on his way to Xining, the capital of the southwest province of Qinghai, to promote his latest film, “Tharlo.” The film is an adaptation of his own eponymous novel reflecting on the damage that modernization has brought to traditional Tibetan rural life. It won the Golden Horse, China’s premier film award, for best adapted screenplay in 2015. The mistreatment of Tseden in custody aroused particular anger after Sina, a major web portal, published photographs showing that his wrists were covered in cuff marks. Police said it was due to Tseden failure to cooperate. Tseden was was admitted to hospital on June 27, after complaining of chest pain, high blood pressure, and other physical ailments. The news of arrest was delayed by three days, and only became public when his sound engineer posted it on Sina Weibo, a popular social media platform, three days later. 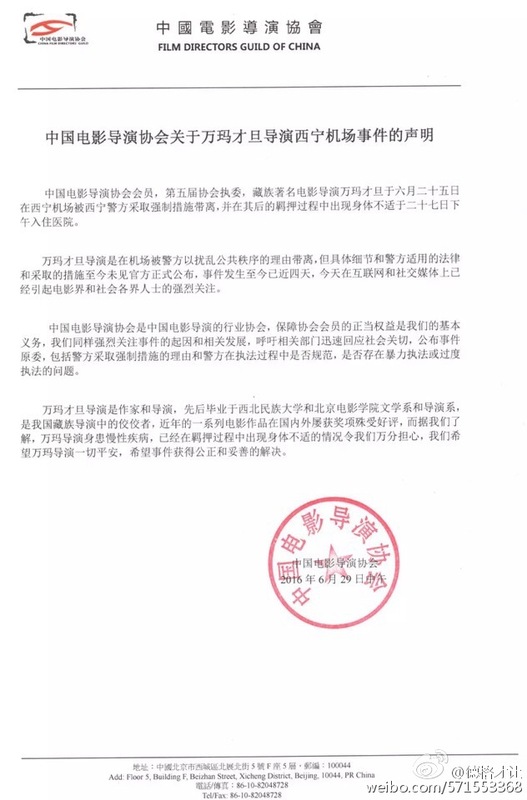 Many renowned Chinese directors, including Jia Zhangke, have since expressed their concern on his Weibo page. “Except for a few who know about the issue, we have not disclosed it to anyone, dreading that the affair targeting him will get larger, and the nature of it will change,” Keke said, hinting of a fear of the authorities politicizing the case. Many of Tseden’s close friends in the film industry have questioned the official explanation for his detention. The well-known Tibetan writer Tsering Woeser described what happened to Tseden as another version of “Tharlo,” his novel that was later made into a film. “People like you who know what’s-what but don’t do what they’re told—we are targeting exactly you,” Tsering wrote on Twitter, quoting from the police. China’s film directors guild released a statement expressing “strong concern” about the incident. “We call on the responsible departments to swiftly respond to societal concerns and make public all details, including the police taking forceful measures,” the guild said in a statement. Tibetan issues are sensitive for the Chinese regime, which rules the region with an iron fist while, Tibetans say, suppressing local culture. Most recently, for instance, authorities ordered a complete ban on pop icon Lady Gaga after she met with the Tibetan spiritual leader Dalai Lama on June 26. Her radio and television appearances were censored and her merchandise was pulled from online stores.